The Alfa 1 is a 1998 Oceanis 461 based in Split, Croatia. Now don't let its age deter you, this fantastic boat was refitted in 2010. 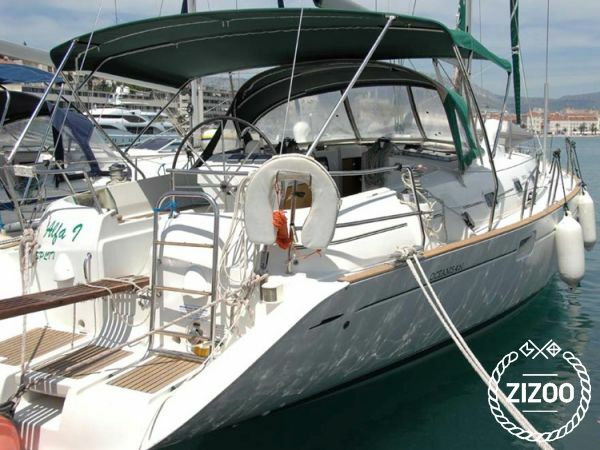 With a classic design and a clean new face, this boat is great for hosting two small families or a group of friends. With 4 cabins to sleep 8, plus an additional double bed in the salon, the Alfa 1 will take you on a holiday you won't soon forget. With a fully equipped kitchen be ready to prepare some fantastic local delicacies, or sit back at the cockpit and sip on some fabulous dalmatian wines. Let the waves rock you as you conquer the sails, and propel you to the most incredible locations on the Adriatic Sea. Take a trip down to Krka National Park and experience the breathtaking waterfalls and incredible greenery. Or head on over to Kornati for a more Robinsonian experience. Whatever your fancy, your crew will help get you there.